Whilst we know equipment isn't everything, it's nice to know you're not being held back by the limitations of your gear. This is why we ensure we're using the best equipment available to get the job done. Our standard gear comprises of a Sony FS7, Sony AS7ii and Canon 5D mark iii, with lenses varying from an 8mm fisheye to 300mm meaning we can capture the action at any perspective. 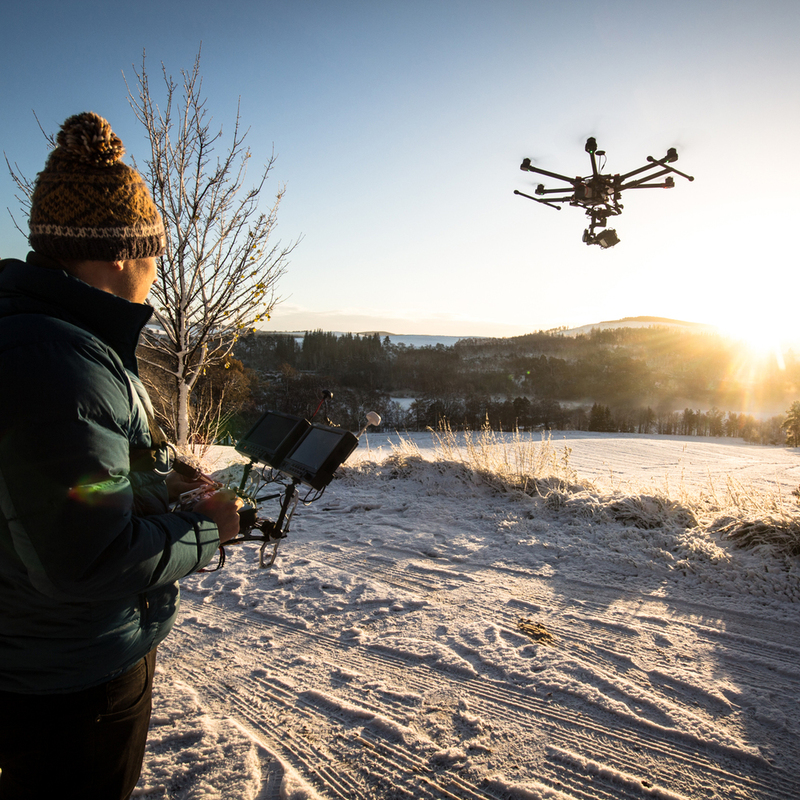 We also use the best stabilisation and aerial systems on the market, with the Freefly Systems MoVI gimbal providing us with dynamic ground shots and Freefly Systems Alta drone allowing us to capture shots from limitless angles through our connection with Fleye Aerial. We're also able to shoot with a cablecam via Mount Creative, coupling a Freefly MoVI with a Cabled remote cablecam system for wireless motor assisted footage through the woods. When it comes to post processing, we edit in Adobe Premiere Pro and use Davinci Resolve for colour grading. We're always happy to discuss our creative process so feel free to get in touch if you'd like to know more about how we got a certain shot or if you've got any other questions.